Does Thabo Sefolosha have a strong case against New York City and its police? SI.com legal expert Michael McCann examines. 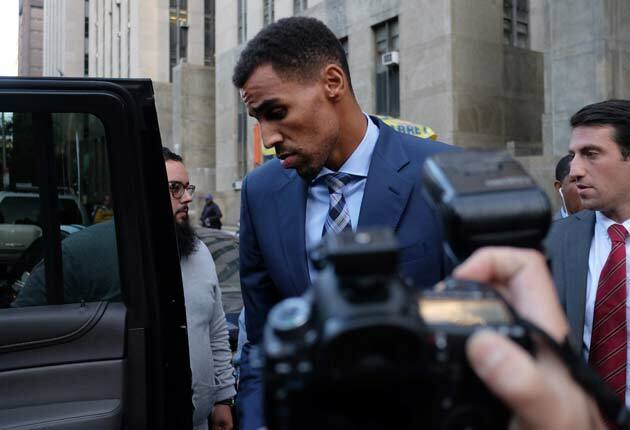 Atlanta Hawks shooting guard Thabo Sefolosha could be on the verge of a high-profile civil rights lawsuit against New York City and the eight New York Police Department officers who arrested—and allegedly injured—Sefolosha outside the Manhattan nightclub “1OAK” on April 8. Media reports reveal that Sefolosha has filed a notice of claim with the New York City Comptroller’s Office, a move that was necessary in order for Sefolosha to preserve his right to file a lawsuit against the city. In his filing, which by law had to be made within 90 days of the April 8 incident, Sefolosha claimed up to $50 million in damages. To be clear, the filing of a notice of claim does not obligate Sefolosha to file a lawsuit, nor does it mean that if Sefolosha sues he would prevail. It merely provides Sefolosha with the option of suing. Still, this option creates an important dynamic: it gives Sefolosha more bargaining leverage in negotiating a potential settlement with the city and the eight officers whereby he would agree to drop potential legal claims in exchange for a sum of money and perhaps an apology by the officers or a pledge by the officers to attend racial sensitivity training. It should also be noted that Sefolosha has other legal options at his disposal. For instance, he has until April 8, 2018, to file a “Section 1983” lawsuit which raises federal civil rights claims against the officers. To dig deeper, here are five questions examining both sides of Sefolosha's potential case against New York City. What are the arguments Sefolosha would raise in a lawsuit against NYC and police officers? Should he sue, Sefolosha’s main legal theory would be that the officers lacked probable cause to arrest him and therefore his arrest was unlawful. He would also contend that the officers were motivated by racial animus or were racially insensitive in their interactions with him. Lastly, he would insist that his injuries, which included a broken fibula in his leg and ligament damage to his ankle, were caused by the negligence of the officers. In asserting these legal points, Sefolosha would highlight the questionable aspects of his arrest and its aftermath. As detailed on SI.com, Sefolosha scuffled with officers outside the nightclub while they investigated the stabbing of Milwaukee Bucks forward Chris Copeland (then with the Indiana Pacers). Earlier this month, a jury found Sefolosha not guilty of misdemeanor charges for resisting arrest and obstructing the administration of government. Sefolosha’s attorney, Alex Spiro, told jurors that the officers unnecessarily confronted Sefolosha because he happened to be a “black man in a hoodie” standing near a crime scene. Sefolosha and Hawks teammate Pero Antic testified during the trial and described the officers as combative and inexplicably taking offense to Sefolosha’s attempt to hand money to a panhandler. After his arrest, Sefolosha claims the officers caused him to suffer injuries. While Sefolosha has seemingly recovered from those injuries—he has played in four of the Hawks six preseason games and has been able to dunk the ball—they prevented him from playing in the 2015 NBA playoffs. What are the probable defenses by NYC and the police officers? Sefolosha being found not guilty in his criminal trial would help him in a civil lawsuit, as it would advance an argument that he was not at fault. The not guilty verdict, however, would not guarantee that he’d win a civil lawsuit. Jurors in Sefolosha’s criminal trial were only asked if they were certain of Sefolosha’s guilt beyond a reasonable doubt. In a civil trial, jurors would be asked a related but clearly different question: whether it is more probable than not that the officers were negligent in their arrest and treatment of Sefolosha. It would be logically possible for one jury to conclude that there are doubts Sefolosha committed crime and another jury to conclude that the officers probably followed the law as they investigated a crime scene. In a civil trial, the officers would insist that they followed relevant procedures investigating a crime scene and in issuing an arrest. To the extent their employment records depict them as being capable officers, they would likely argue their track record is consistent with good police work. The officers would also portray Sefolosha as the aggressor. The officers would likely tell jurors, as the prosecution argued during Sefolosha’s criminal trial, that Sefolosha acted “with a sense of entitlement” and invited a confrontation with the officers. They would also highlight their contention that Sefolosha ridiculed and bullied a 5’7” police officer in front of others by calling him a “midget.” Essentially, the officers would depict Sefolosha as a brat and suggest that his behavior unlawfully impeded the officers from carrying out their lawful duties. What problems might Sefolosha face in his lawsuit against NYC and the police? Even if Sefolosha can prevail in his legal arguments that the officers (and by extension New York City) are at fault, he might struggle to establish that his NBA career has been financially harmed. For starters, Sefolosha did not lose money when he was unable to play games last season due to injury. His contract with the Hawks guaranteed him $4.15 million for the 2014–15 NBA season, whether healthy or injured. This same contract also guarantees Sefolosha $4 million in salary during the 2015–16 NBA season and $3.85 million in the 2016–17 NBA season. In order for Sefolosha’s injuries to harm his financial earnings as an NBA player, he would likely need to show that injuries related to the police make him a less desirable free agent during the summer of 2017. This could be a tall task for the 6’7” Sefolosha, who last season ranked fourth among NBA shooting guards in defensive Real Plus-Minus. In the summer of 2017, Sefolosha will be 33 years old, an age by which point his speed and quickness—two key attributes for a guard whose NBA career has been largely predicated on superb defense—would likely have diminished naturally due to aging. Sefolosha returning to the court for the Hawks this season also has the perverse effect of harming his potential damages from the lawsuit. His return indicates that his injuries have not derailed his NBA career. Whether Sefolosha struggles on the court this season will be worth watching, since his attorney might attribute those struggles to police-related injuries. Then again, a decrease in Sefolosha’s performance might have little to do with any lingering effects of injuries. 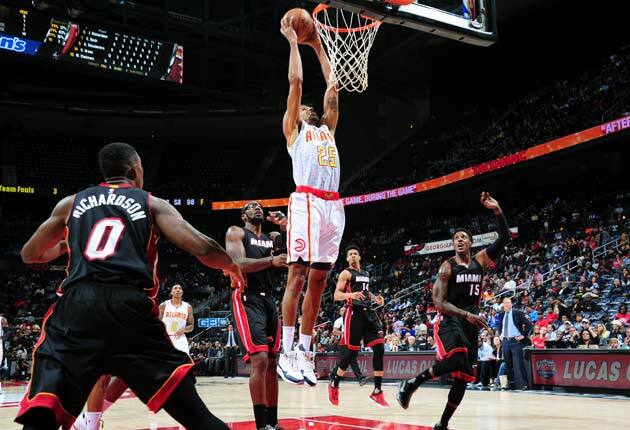 It is possible that the 31-year-old Sefolosha, who was relegated to the Hawks’ bench last season after starting all 345 of the NBA games in which he appeared in between the 2009–10 and 2013–14 NBA seasons, is simply playing beyond his prime NBA years. Various studies estimate the average age of NBA players to be around 26 or 27 years old, and the peak years for most NBA players are thought to occur between ages 25 and 28. While every player is different, an expert witness hired by the City of New York and the officers would argue that any diminution in Sefolosha’s play is consistent with his age and the normal career arc for NBA players. Can Sefolosha still win if the injury doesn't impact his playing career? Although Sefolosha would likely struggle to prove police-related injuries have harmed his earnings and potential earnings as an NBA player, he could still demonstrate he has suffered meaningful damages. Those damages would relate to the pain and suffering of being injured and then having to undergo significant surgery on his leg. Sefolosha also faced life limitations as he recovered from surgery and rehabilitated. While commentators sometimes mock “pain and suffering” as invented by attorneys representing plaintiffs, that phrase is quite real to those who endure pain and suffering and to their family members, too. The incident with the police likely also caused Sefolosha substantial embarrassment and humiliation. This is true not only while he was restrained and handcuffed in front of curious onlookers, but in the subsequent days, weeks and months as he tried to clear his name with his various constituencies. Those constituencies included his family, friends, the Hawks, the NBA, fans and media. What is Sefolosha's prime motivation with a lawsuit? It is possible that Sefolosha, who according to Basketball-Reference.com has earned $26 million during his NBA career, might not view money as the main goal in a lawsuit and in any settlement discussions. His focus could be on policy reform, such as making police officers more racially sensitive in their work and in interactions with minorities. The NYPD has been criticized for how some officers treat minorities. One controversy that attracted particular attention in the sports world occurred in September: an NYPD officer mistook retired tennis star James Blake for a suspect and slammed him to the ground. For Sefolosha, a settlement with the city that would improve interactions between NYPD officers and minorities might be far more valuable than any amount of money. Unlike the vast majority of plaintiffs in lawsuits, Sefolosha has the enviable position of wealth and fame. He might just use that position to pursue a goal that goes well beyond his own self-interest.